Guitarist, singer and songwriter Tommy Allen, started out in his younger years working as a sideman to some of the big names in the blues scene; from Mojo Buford (Muddy Waters Band), Lazy Lester, Otis Taylor, Big Joe Turner to Nicky Moore (Sampson and Mammoth). In 2001, Tommy had the opportunity to join the Sugababes a UK Girl pop band signed by London Records. It was during this 2001 Tommy needed a band to perform his own original songs, so Trafficker was born!! Which led to the release of three acclaimed albums over the next 4 years showcasing Tommy’s songs and writing abilities which led to top reviews in national Blues magazines and also comments from the likes of Paul Jones from BBC Radio 2 introducing Tommy Allen as “one of the most talented songwriter guitarists to emerge from Britain in a long time”. Trafficker toured endlessly and by the end of 2006 it was time for a change. In 2007 ‘The Blues Duo’ was formed with his close friend Johnny Hewitt and they were off on the road – this was something brand new and very different and as the Duo became more popular Trafficker was off road and parked up waiting for an overhaul. In 2015 Trafficker were back in the studio with brand new songs and a new line up that sees Tommy Allen joined by Emil Engstrom on bass and Damon Clarridge on drums. 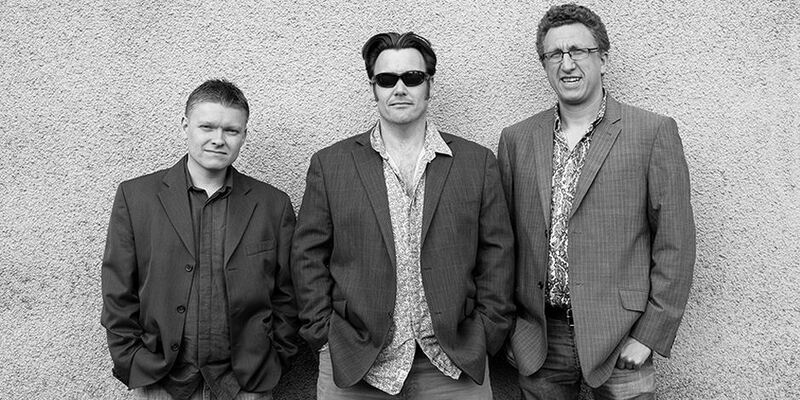 Trafficker were acclaimed as being one of the top bands at the Upton Blues Festival in 2015 and now it’s your chance to see them at the Linton Festival.